Our home is probably the most important asset we possess and maintaining it and keeping it clean is a natural unavoidable necessity. Despite the daily household chores, there comes a time when it becomes crucial to go on a binge cleaning to extensively get rid of all the ignored junk and clutter. Spring cleaning concept is very popular and is beneficial because it helps avoiding dirt, clutter and dust for a period of time and also makes it easy to maintain further cleanliness of your house. 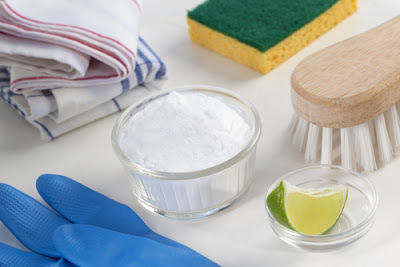 While getting your hands dirty in long hours of exhaustive and hectic cleaning process, there are certain home remedies and myths surrounding spring cleaning that we often find people following for better results and convenience. Stripping down your entire house to clean every nook and corner of is actually a tougher job than it sounds. It is highly advisable to breakdown the work at hand step by step and planning how to go about it to make sure the whole process goes hassle-free and smoothly. · Individual rooms – One convenient way to plan your spring cleaning is to plan a room by room cleaning method. Take one room at a time and decide how you want to reorganize and de-clutter to extensively clean it. · Get rid of junk – Most important aspect of cleaning your entire house is to get rid of all unwanted junk and clutter. This not only provides more storage space, but also makes your house look visually more appealing and organized. Unwanted junk lead to more dirt, pollution and sometimes even foul odor. · Do it yourself – Although it might seem like your responsibility to maintain the cleanliness of your house and you might want to take up cleaning your house room by room yourself. It is not the best plan and it might end up taking a lot more time and hassles. Take help from family and even professionals if you feel the need of it. Extensive cleaning cannot be done every day and once if you plan to it is essential to get it right and chalk out the planning in a proper organized way to make the mammoth job seem easier while also ensuring best results. This is what brings us to the myths surrounding spring cleaning. These are put to use quite commonly and it is natural to look for some easy but effective shortcuts for a job this extensive at hand. Let us go through 9 such myths and see how factual or efficient these actually are. Bleach is undoubtedly an extremely potent disinfectant and is quite handy for removing troublesome stains. But it is a false myth that bleach is the best cleaning option for anything and everything in your house. Despite its stain-removing potency, bleach is actually quite strong in nature and can often fade colors off certain furniture or surfaces. Dirt is also not well countered by bleach and that essentially needs heavy scrubbing and rinsing. Bleach also has a strong pungent odor and might not be comfortable for some. Using a lemon to remove stains widely popular when it comes to cleaning and aptly so as lemon is one of the most powerful natural stain remover. The acidic nature of lemon helps to break down dirt and grease in stains and cleans efficiently. Also the fresh citric fragrance removes foul odor and keeps the ambience fresh. The myth surrounding walnuts being effective for fixing furniture scratches is actually true. Walnut meat and not the hard shell can be used for this cause. Gently rub the walnut flesh on the affected furniture area in a gentle circular or up and down movement. The oil secreted by the walnut helps repair these scratches and keep the polish of the wood intact. Window squeegees are surprisingly very helpful in eradicating pet fur from couches, carpet or other furniture. 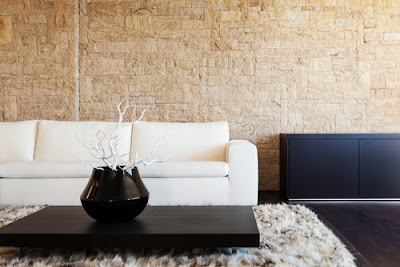 Often even vacuum cleaners fail to properly remove pet fur from couches which are deeply embedded in the fibrous couch. Running the rubber blade of squeegee will easily rake up the pet fur and then can be removed using a vacuum cleaner. Common all-purpose clothes are usually cotton, synthetic or nylon material which has larger fibers as compared to microfiber clothes. Microfiber clothes have much smaller fibers and are capable of attaching more minute dirt particles easily on to them. This spring cleaning myth of all-purpose clothes being as effective for cleaning purpose is thus redundant and not true. Surprising as it sounds, ice cubes are very helpful in fixing carpet dents which are tough to fix. Place ice cubes on the dented region for a while and then fluffing it using a fork or tweeze to make it appear as good as before. It is a popular concept and comes up time and again during spring cleaning to incorporate more green plants in your home to keep the ambience fresh and odor-free. There are number of plants like peace lily, ivy, corn or bamboo which help maintaining an eco-friendly ambience and healthy air. An extremely popular method surrounding spring cleaning is that newspapers are more effective when it comes to cleaning window and glass surfaces as opposed to paper towels. It might sound a tad bit unconventional to use a paper imprinted with ink to be effective for cleaning but the low lint quantity in newspapers helps in cleaning windows leaving behind no streaks or unattended corners and crevices. Baking soda is widely accepted as a natural method to unclog pipes and drains. Best results can be achieved by sprinkling baking soda down the affected pipe line or drain followed by equal amount of vinegar. Cover the opening to the drain with a cloth for 15-20 minutes before flushing down the pipe with very hot water. This easily clears clogged pipes and drains in your house and that too in a short time. 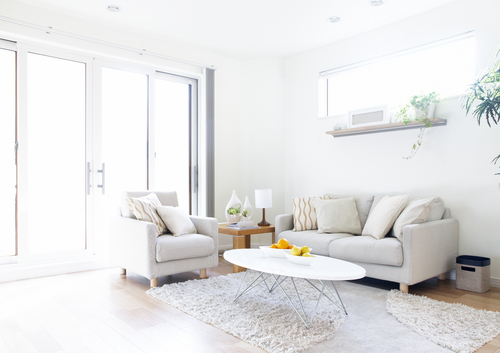 These are some myths debunked surrounding spring cleaning. Make sure you use these small tips, tricks and home remedies to make the extensive and daunting process much simpler and convenient.